Dîner en Blanc - Washington D.C. - F.A.Q. The table must be square, foldable, and easy to carry. The size must be between 28 and 34 inches. The table does not have to be white as it will be covered with a white tablecloth. 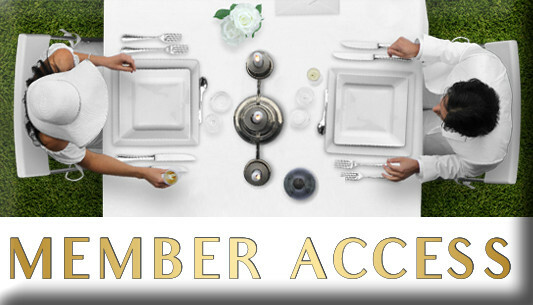 Le Dîner en Blanc operates very differently from most events, as all purchases must be in advance (no on-site sales). Catered meals and beverages can be pre-purchased via the e-store at the time of registration, up until approximately 7 days prior to the event. See your e-store for specific details and closing dates.